Located in Hennepin County, Minnesota, the fabulous city of Crystal offers an excellent location, ample entertainment opportunities, beautiful residences, and much more. This fantastic city is located approximately nine miles from the thriving Minneapolis-St. Paul metropolitan region, so you will always have something new to discover. Regardless of your interests, you will not struggle to find fun activities to fill your free time. Whether you are interested in nature, professional sports, the arts, or something else, you are certain to discover enjoyable activities that complement your favorite pastimes. Stellar Crystal, Minnesota, single-family homes are ready to impress you, so now is the time to consider what it would be like to live in this spectacular city. When you are a resident of this outstanding city, you will have ample entertainment opportunities at your fingertips. For example, if you enjoy spending time outdoors, then you will appreciate the close proximity of pleasant parks, natural areas, lakes, and more. Envision completing an exhilarating hike, taking a relaxing stroll, or enjoying a delicious picnic lunch. When you choose to live in extraordinary Crystal, these fun activities can easily become part of your everyday life. 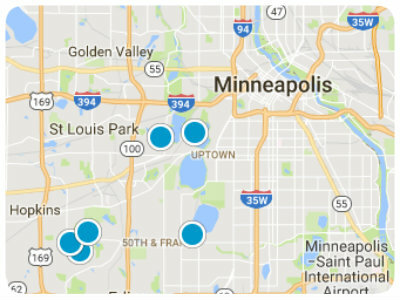 When you are ready for a quick change of pace, you can travel the short distance to the dynamic Twin Cities metropolitan area. You may choose to dine in an excellent restaurant, attend an exciting professional sports game, watch an enthralling live performance, tour an interesting museum, explore an impressive art gallery, shop in eclectic boutiques, or experience the bright nightlife scene. These activities are only a small sampling of how you may choose to spend your time in this lively area. No matter where your adventures lead you, you will be content to think of your peaceful Crystal, Minnesota, single-family home waiting for you. A convenient location, plentiful entertainment opportunities, and gorgeous natural scenery are only a few of the benefits of living in this welcoming city. Attractive Crystal, Minnesota, real estate options are waiting to pique your interest, and you are sure to find something that suits your style. If you are ready for more information regarding exemplary Crystal, Minnesota, single-family homes, please do not hesitate to contact us. Listing courtesy of James M. Waters. Listing courtesy of Home Realty Company.